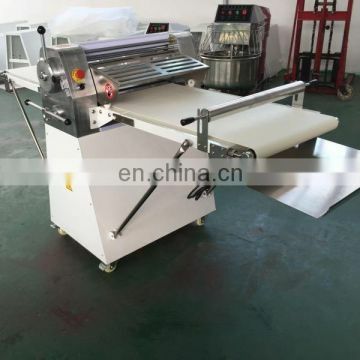 It has special moter and performs two-way pressing. 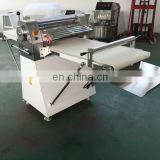 The machine is equipped with safety shield, works safely and reliably. 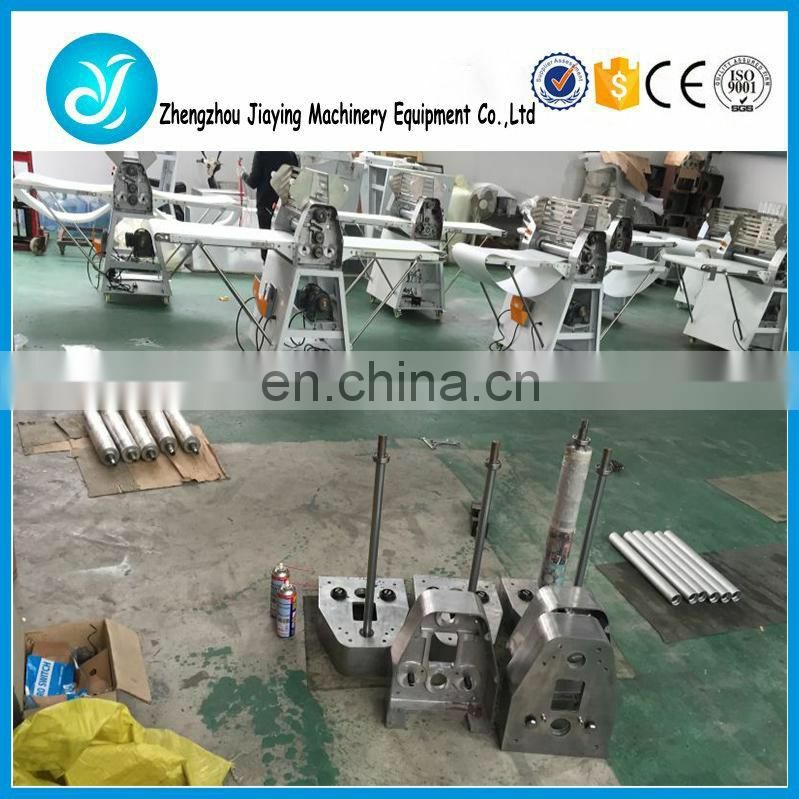 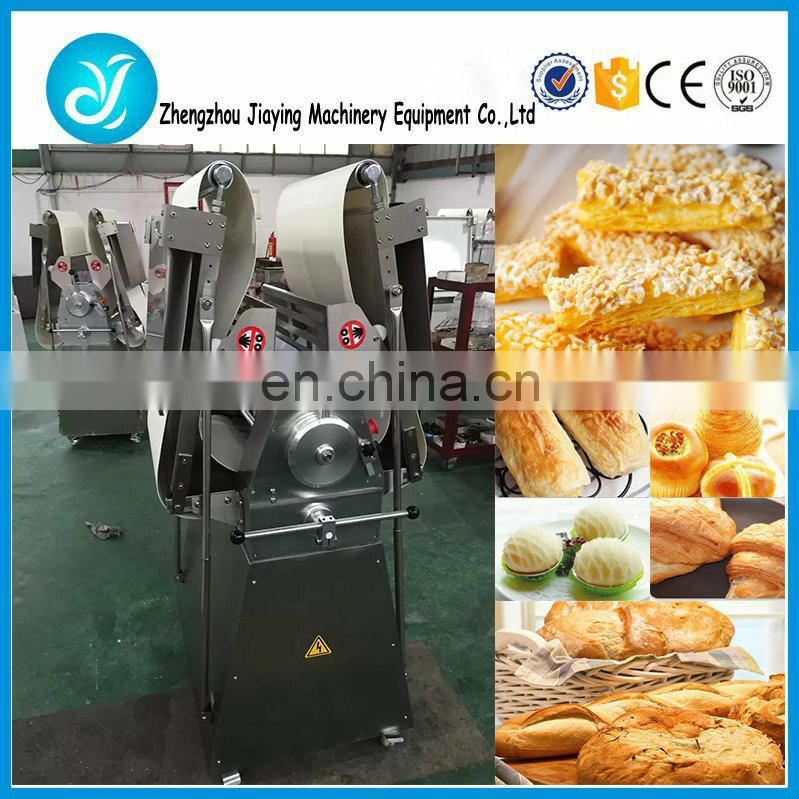 They are specially suitable for the work of pressing dough into thin pieces in the western-style cake shops, hotels, restaurants, company dinning halls, and so on. 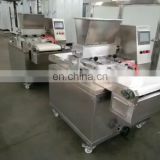 All parts in contact with food are made of stainless steel or steel with specially treated surfaces, which are endurable in use and in conformity with national food hygiene standard. 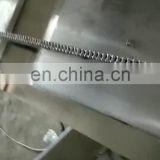 1,Appearance is made of stainless steel, elegant and durable. 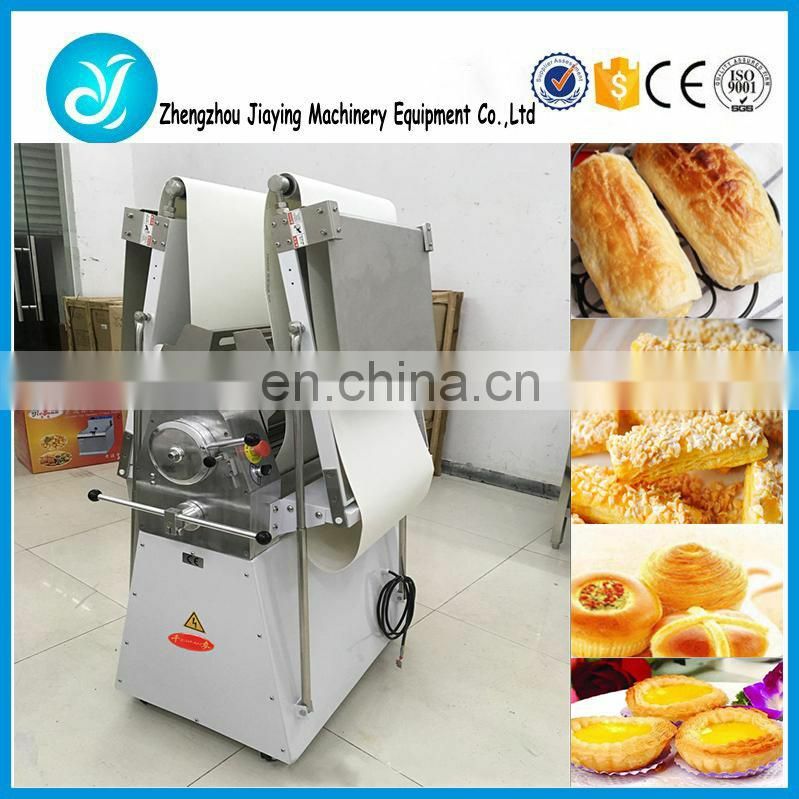 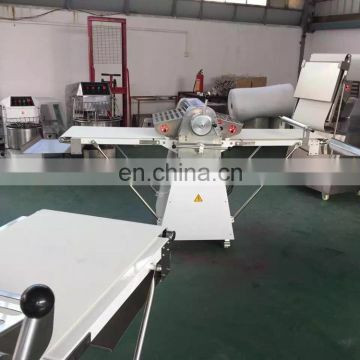 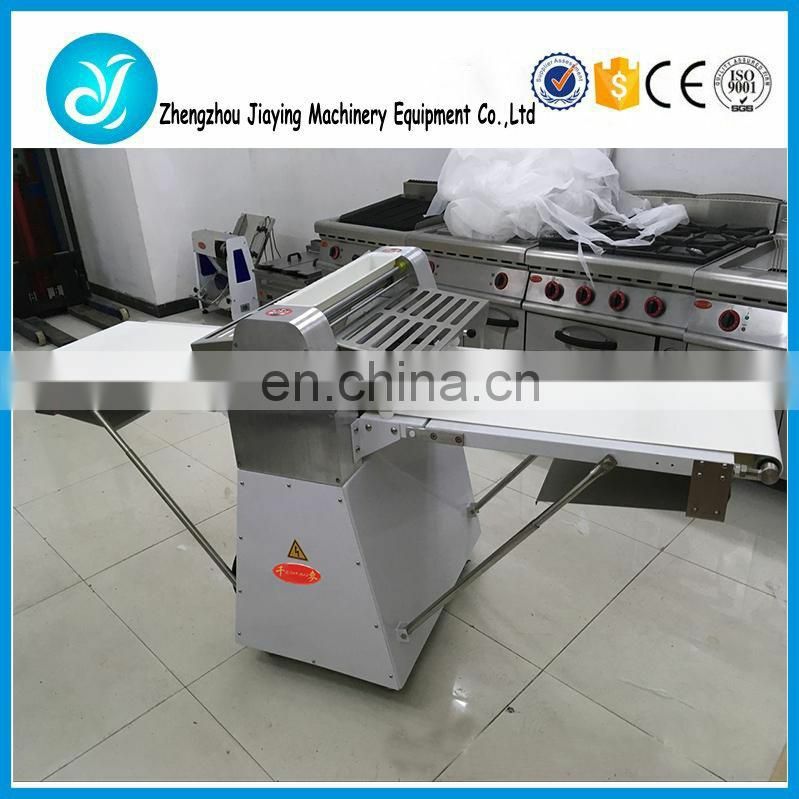 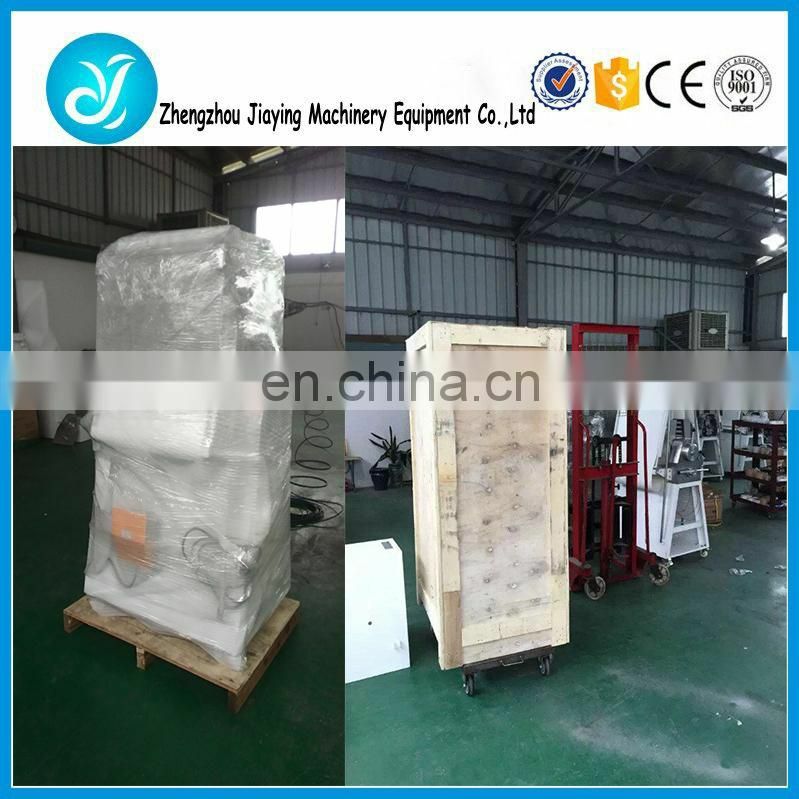 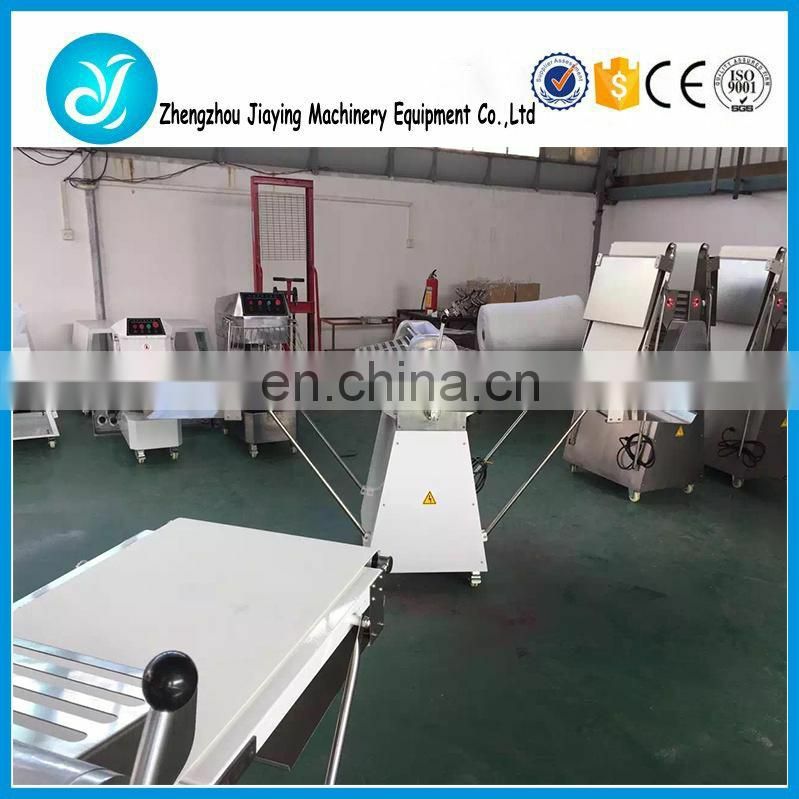 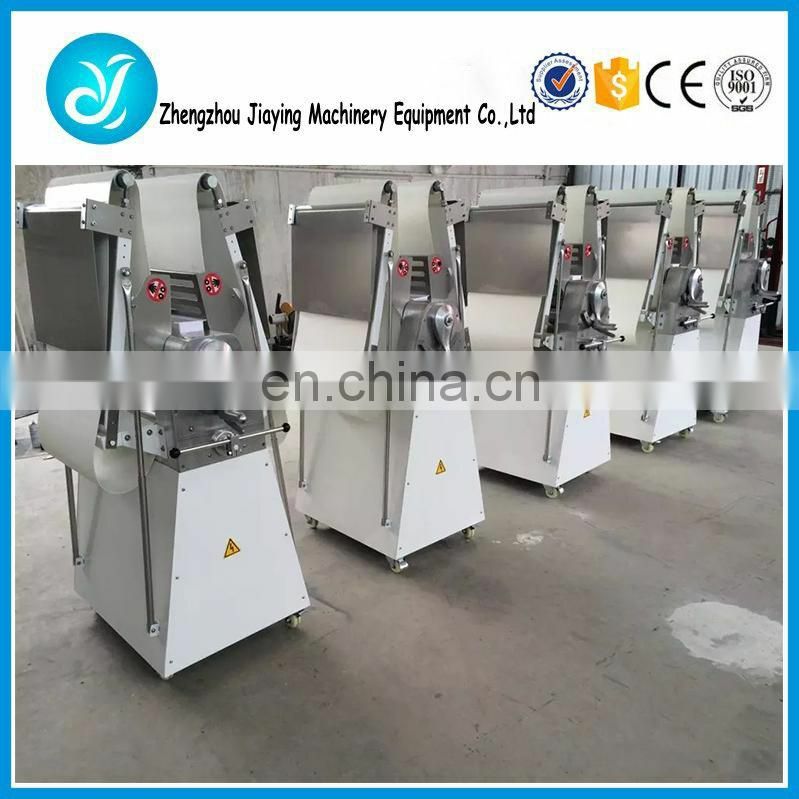 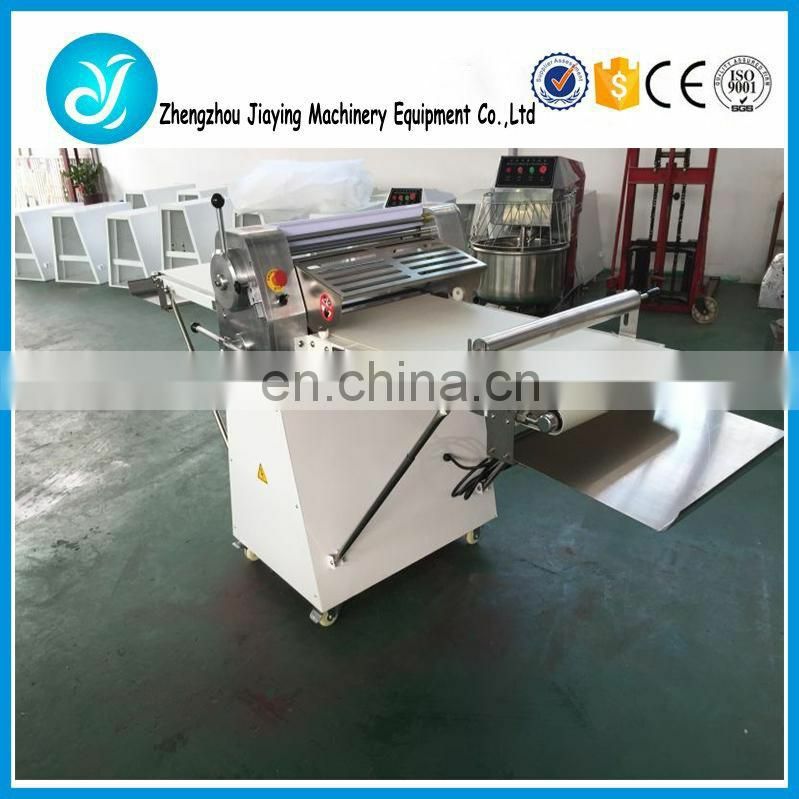 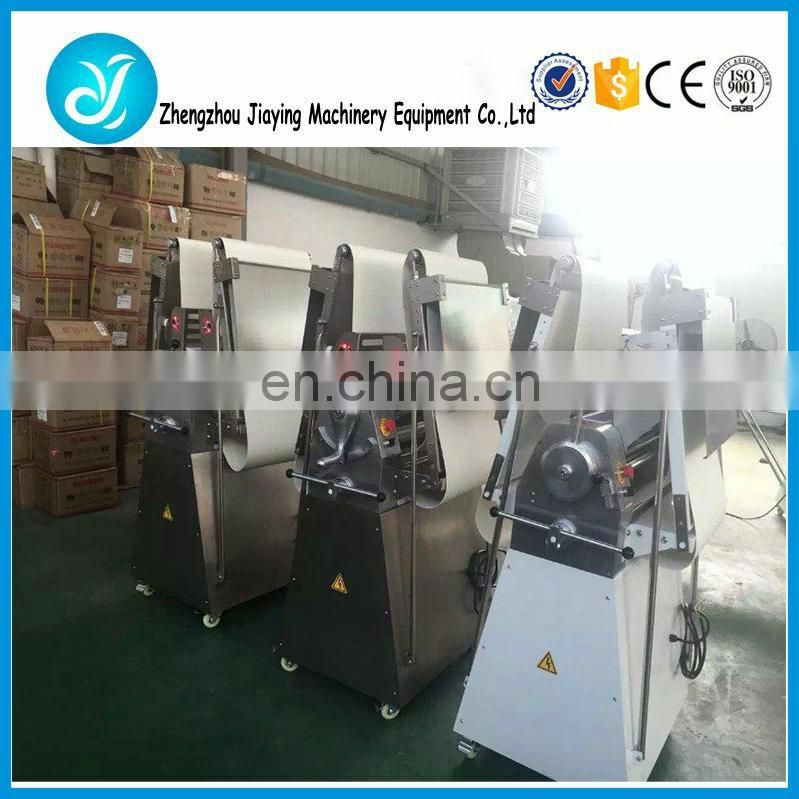 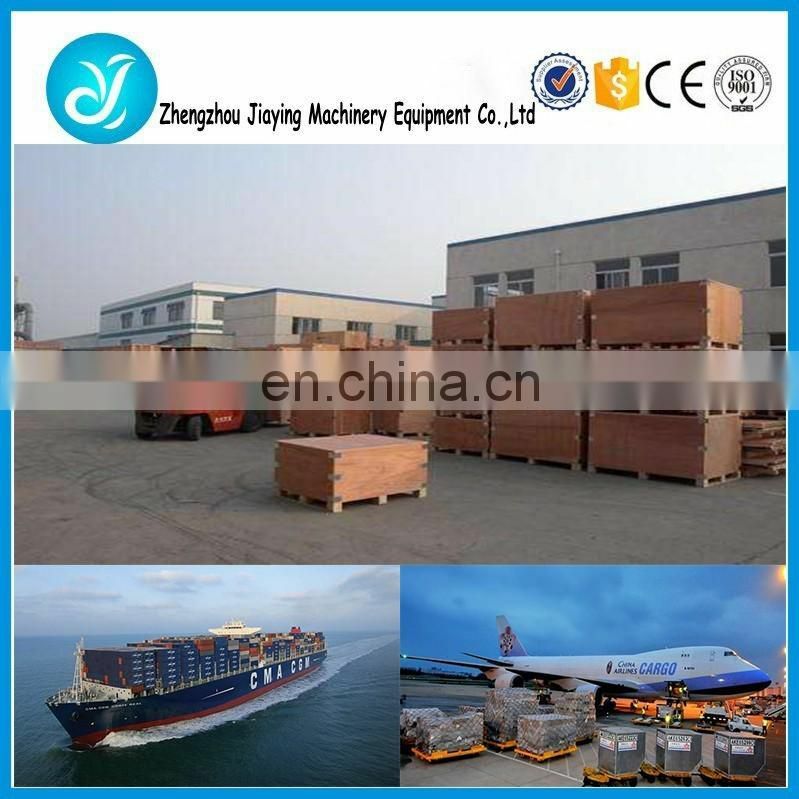 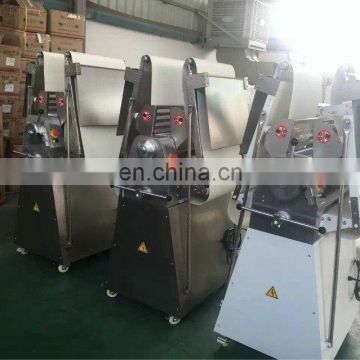 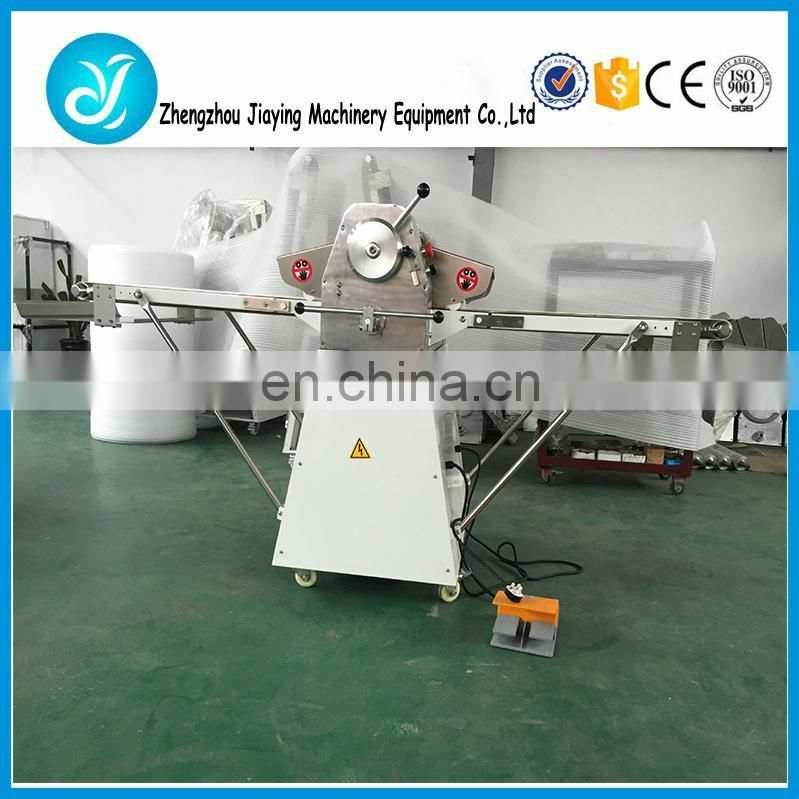 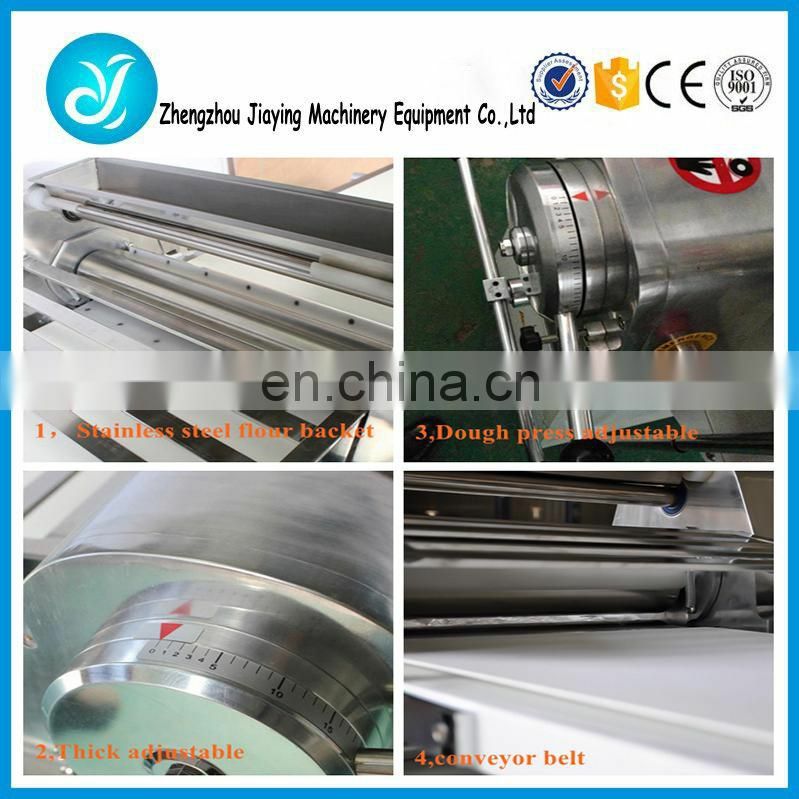 2,This machine is used for making pastry type, pastry cake ,puff pastry, and pressing dough. 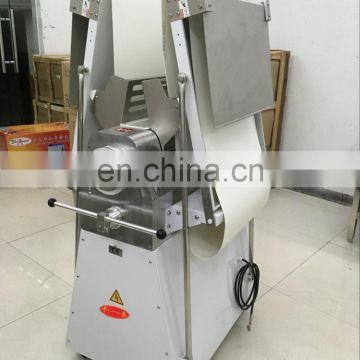 3,Durable high quality stainless steel pinch roller, not to be scratched or adhered the paste easily 4,Blade has been specially designed, and the dough thickness could reach 1mm, with uniform thickness. 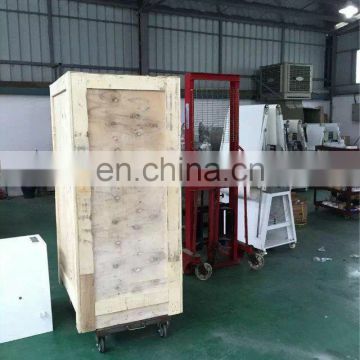 5,Space saving, movable folding structure. 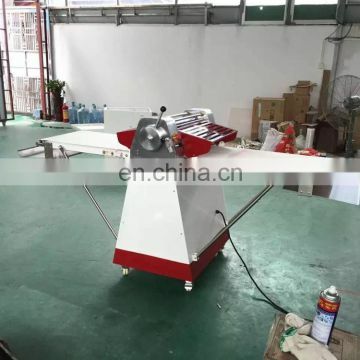 6,Having desktop or floor standing type.